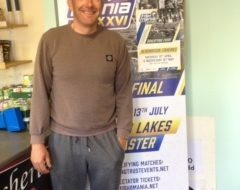 Three of the current England Ladies Team dominated the top three places with the newest member of the England team for 2011 becoming this year’s Angling Trust Ladies’ Individual Champion on Saturday 11th June on the Kennet & Avon Canal, Seend Park. 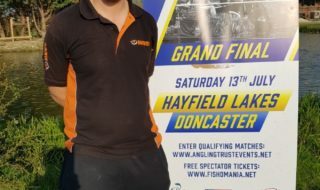 Samantha Sim drew peg 15 where she fished the 16 metre pole across the canal into 2ft of water feeding chopped worm and caster to net a steady stream of skimmers and a few bream plus 5 decent perch and a big tench to complete her winning net of 10.78kgs. Second place went to the 2006 Champion Emma Pickering on peg 7 where she fished pinkies at 5 metres for small fish and worm and caster at 14 metres for skimmers to make up her net of 8.68kgs. Third place fell to former World Champion Wendy Locker who weighed in 7.9 kgs from peg 29. A fine sunny day greeted the disappointingly low entry for this year’s Angling Trust Ladies National fished on a very good venue. Despite the low entry it turned out to be a very good match with some good fishing on the day. In the team event the Warrington AA team of Linda Cooke, Wendy Locker, Pat Geary and Rose Balcomb took the honours with a combined weight of 16.12kgs. In second place were Smartbait Leeds West Norfolk Academy with 12.57kgs and in third place was Garbolino Lindholme Ladies 12.35kgs. 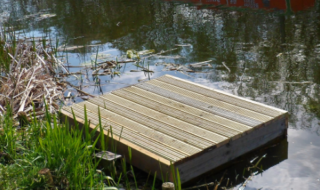 Angling Trust would like to thank Devizes AA for the use of the water and the local anglers who stewarded the match. 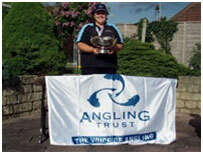 Angling Trust introduced a new trophy in memory of England International and 2004 Ladies’ National Champion Claire Dagnall, this was awarded to the highest placed angler in the under 21 group. This year 17 year old Charlotte Gore weighed in 3.92kgs to finish in overall 7th place to become the first lady to win this new trophy.